The French Department of Ain (north-west of Haute Savoie) has about thirty cycling routes well sign-posted at all degrees of difficulty. 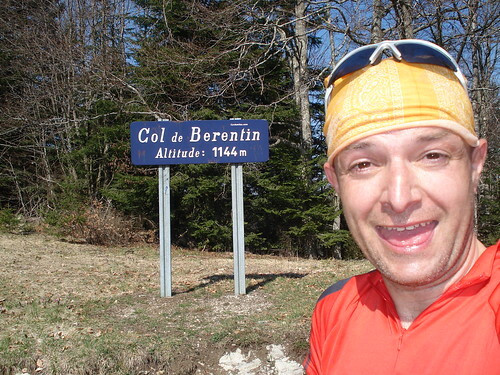 Today I tried a tough route through the Jura mountains that passed 4 mountain Cols (and a 10 km detour made it 5 Cols). Net, 91 kms and 1,500 metres ascent along wide and quiet roads through mountain forests. I was pretty tired but a Peanut Butter sandwich at 50 kms helped. 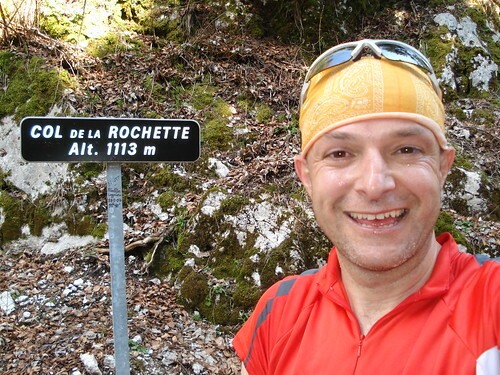 Although I passed 5 Cols, three were approached from easy sides. But the other two were good climbs.